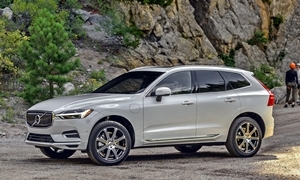 Own 2015.5 xc60 T5 E Drive fwd, 10,000 kms. Any one experiencing occasional hard downshifts. Thanks. We're also sending this to S60 and V60 owners. More of those are likely to have a front-wheel drive vehicle with the eight-speed automatic. Nothing unusual (yet) with my 2016 Volvo XC60 at 4,000 miles. When I first picked up my 2015.5,I too noticed hard shifting into first gear. A product update from Volvo rectified this problem. I now have 42000 km on car, and it shifts (mostly) flawlessly.